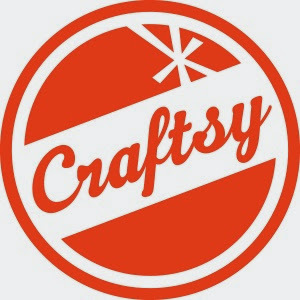 This blog post is to teach you how to temporarily remove your pattern(a) from sale in Craftsy, if you are selling your digital goods in craftsy and do not want to deal with the new EU VATMOSS mess, Craftsy is one of the place you night want to deactivate your items for the time being. First of all, hang on - and don't delete your patterns just yet, otherwise you will regret it when Craftsy found a solution for us later, I certainly do not want to relist my ebooks all over again. I'm happy to provide you with some more info so you can continue to sell patterns on Craftsy! As you might have noticed, unlike other sites, we don't take part in the financial transaction of your pattern. This means we don't take any collection fees, but it also means we can't collect taxes or VAT fees since we simply don't handle the transactions - PayPal does. As the seller, you are responsible for calculating and paying any fees owed by law. Now, here's what we can do! More information to come on this! We're aiming to have this live in January, and I will work with our engineering team to see what we can do to back populate information for sales made in January before this is live. B. As far as preventing payments to certainly countries, we're still working with PayPal to determine if this is possible and if so, how that affects those that attempt to purchase your patterns - ie what that experience looks like to your potential customers on Craftsy. 3. In the white box to the left select "Manage My Patterns"
4. Click "Edit" above any pattern you wish to remove. This will take you to the editing flow. 5. Once here, select "3. Preview and publish!" towards the top of the page. On this page you will see a button towards the top that says "Save as draft." When you want to resell again do the same and select "Publish My Pattern" instead of save as a draft. Again, we'll be in touch with more details as we have them, for now, I wanted to fill you the information so far." I am going to give it a try tomorrow first thing in the morning!